Cummins complementary business units design, manufacture, distribute and service engines and related technologies, including fuel systems, controls, air handling, filtration, emission solutions and electrical power generation systems. Cummins South Africa (Pty) Ltd is a business that designs and manufactures state-of-the-art diesel and natural gas powered engines for on-highway and off-highway use. The company derives its strength from the collective talent of their people. Cummins employs more than 55,000 team members across six continents that provide customers with world-class service, anywhere and anytime. Their Cummins Care team is available 24 hours a day to assist with product questions and service needs. The business is organized into four distinct but complementary business segments. These include their Engine Segment, Power Systems Segment, Components Segment and Distribution Segment. 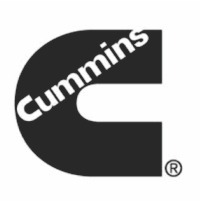 Cummings also offers Cummins Filtration, Cummins Turbo Technologies, Cummins Emission Solutions, Cummins Electronics and Fuel Systems. The business also offers new parts and remanufactured parts. Cummins South Africa is reinventing the heavy-duty engine category by setting a new standard for uptime, efficiency and performance. The company is able to provide high-speed high-horsepower engines and power generation equipment as well as standby and prime power generator sets. Cummins South Africa is also planning to offer their first direct-to-consumer crate R2.8 Turbo Diesel engine. Tags: Cummins engines, diesel, natural gas, highway, systems, components, distribution, servicing.